Lawsuit Alleges Mafia-Like Tactics Aimed At A Disneyland Social Club : The Two-Way Like an oddly wholesome motorcycle gang, members wear denim vests festooned with Disney trading pins on the front. Some members sport tattoos of Walt Disney himself. Social clubs have sprung up at Disneyland in Anaheim, Calif., in recent years — and a lawsuit describes threats of violence aimed at one of them. There are a lot of ways to be really into Disney as an adult. You can go on a Disney cruise, attend the three-day Disney convention, or get married at one of the parks. Suddenly, in 2013, a whole new vein of fandom sprouted: Disneyland social clubs. Like an oddly wholesome motorcycle gang, members wear denim vests festooned with Disney trading pins on the front. On the back are patches bearing the image of their club's totem character. Many members own annual passes and visit Disneyland frequently. Some members have tattoos of Walt Disney himself. Our first official visit as Walt’s Most Wanted at DCA! If you see us in the park come say hi! Each club has its own bent: Some are named after movie characters while others focus on features of the parks themselves. But the denim vests are a mainstay. "We wanted something we could be comfortable in, that we could wear on hot days, and that was bold and spoke to our acceptance of our semi-outsider stance within the Disney fandom," Nathan Rice, the founder of a club called Walt's Misfits, told the OC Weekly in 2014. "The first few clubs were made up of similar tattooed weirdos, and I think the whole 'The Warriors' outlaw thing had an edge that we wanted to convey, even if that edge was ultimately tongue-in-cheek, it being Disneyland and all." "Being heavily tattooed and having somewhat of an 'alternative' image compared to the average Disney-goer, it was hard for us to mesh with the families you usually see at the park," Michael Stout, co-founder of the Main Street Elite, told the Weekly. "So we decided we'll make our own Disney family, seeking out the rest of the Disney fanatics who were left with no one to go to the park with." As you can see in thousands of photos on Instagram, the groups generally look pretty friendly. Members tell stories of helping newcomers or keeping an eye out for park rule breakers. But according to a lawsuit filed in September in Orange County civil court and updated last week, one of the clubs used tactics more associated with the Mafia than with the Happiest Place on Earth. The plaintiffs are John and Leslee Sarno, a Sacramento couple. The court filing explains that John Sarno was the president of the Main Street Fire Station 55 Social Club "and also bore the title of 'Battalion Chief' in the fictional fire station." In the summer of 2016, according to the complaint, Fire Station 55 SC organized a fundraiser for the families of firefighters who died in the Sept. 11 attacks. 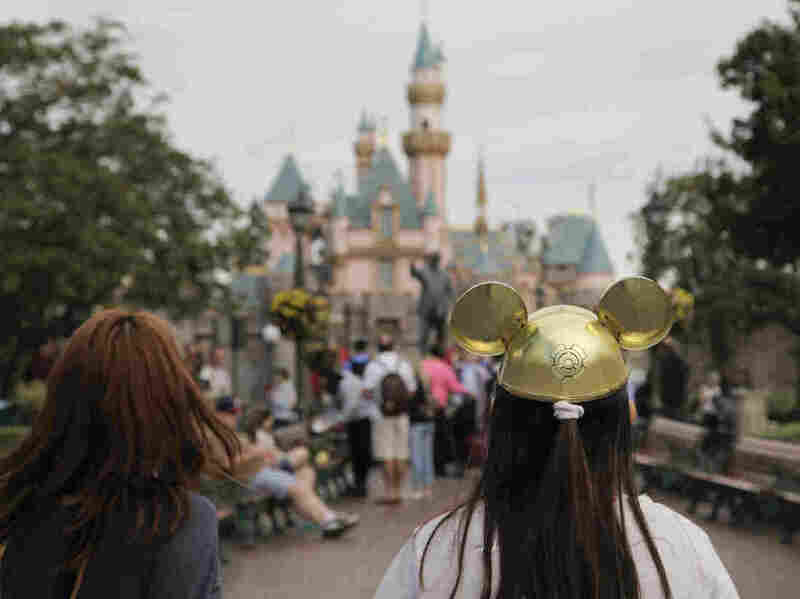 Some 340 participants walked 2 miles around Disneyland, and the profits were donated to a charity. Disney gave permission and provided security. It was in the weeks leading up to the fundraiser that defendant Jakob Fite and four other members of a social club called the White Rabbits approached John Sarno on Disney property and demanded that he pay them $500 in "protection money" for the event, according to the suit. Sarno refused to pay, and he says Fite threatened to ruin him — and that the Sarnos would never be able to visit the park again. After that, according to the lawsuit, Fite and other members of the White Rabbits began a targeted campaign against the Sarnos on message boards and podcasts, calling them scammers and con artists. They say that White Rabbits printed T-shirts with John Sarno's name and likeness on it warning that he was dangerous and made false reports to law enforcement and news outlets claiming the Sarnos had committed fraud. The Sarnos say they eventually had to disband the Fire Station 55 SC and that Disneyland refused to let them hold another charity walk. They've been ostracized, they say, living in fear of physical assault. They have not felt it safe to return to Disneyland. Fite rejects the allegations, the Los Angeles Times reports, "saying Sarno filed the suit to fire back at Fite for raising questions about Sarno's character among other Disneyland social clubs." The Times adds: "Fite cohosts a podcast that discusses Disney's subculture and said he used that forum to raise questions about Sarno's character and suggest that Sarno has been misleading club members about his background to raise money for charitable causes." The Sarnos declined to comment on the lawsuit, according to the newspaper, and their attorney said the couple "have no desire to further publicize their circumstances or to take any action that could be construed as their own re-publication of the false and defamatory statements that have been circulated by the defendants in this case." Disneyland is also named in the suit, which argues that Disney hasn't done anything to take action against the White Rabbits or make it safe for the Sarnos to return to the park. The plaintiffs seek compensatory and punitive damages.